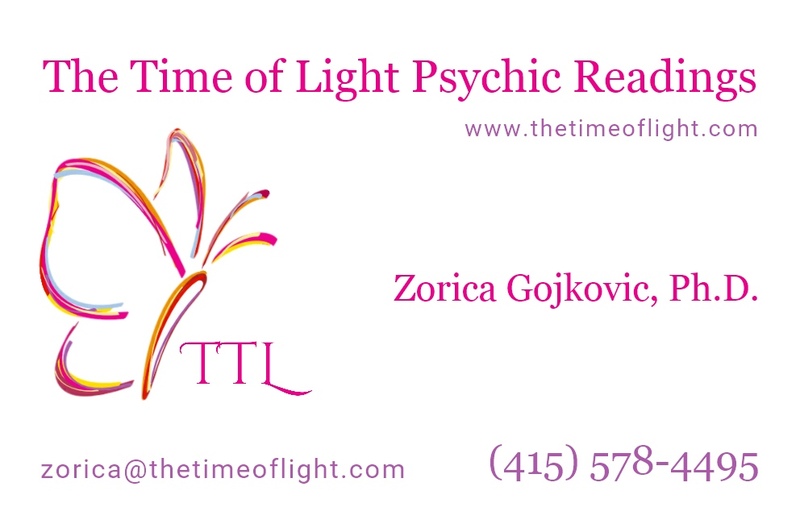 Booking Calendar - The Time of Light Psychic Readings, Zorica Gojkovic, Ph.D. - The Time of Light Psychic Readings, Zorica Gojkovic, Ph.D.
​According to length of session. 1.5 hrs are recommended for the first individual session, 2 hrs for a couple's session. Regular sessions are often beneficial. To get the most out of your session, I recommend reading my short book, The Workings of Energy in the Human Energy Field. ​​Come with an open, receptive mind and pen and paper. ​Predictions: we have free will, therefore there are only potentialities and probabilities. You are the only authority in your own life.